This award is given each year to an MRID member who exemplifies a contribution and commitment not only to MRID but to the field of interpreting and to the Deaf, Hard of Hearing and DeafBlind communities we serve. The award recipient has a history of donating his/her time, energy and volunteerism, which supports the growth of our field and benefits the consumers we serve. Nominees must be current members of MRID to be considered. 1. The Candidate must be an active member of MRID for at least 5 (five) years. 2. The Candidate made outstanding contributions during the previous 3 (three) years. 3. The Candidate has given a substantial amount of their own time and/or resources (not while on another job) to MRID work. 4. The Candidate has achieved something that substantially contributes to upgrading and/or improving the interpreting profession in Minnesota and/or nation. 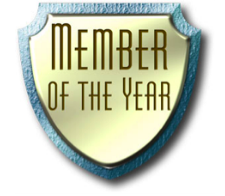 To nominate a Member of the Year contact MRID's President at president@mrid.org, or Secretary at secretary@mrid.org. The Outstanding Organization of the Year Award is given to an organization for their extraordinary contributions to the field of interpreting. Recommendations fro this award are accepted from the general membership and the MRID Board of Directors chooses the recipient. 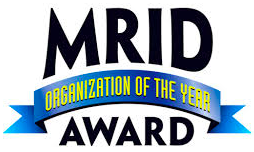 The MRID standing President presents this award to the organization during the Annual Fall Conference. To nominate an individual or group, contact MRID's President at president@mrid.org or Secretary at secretary@mrid.org. The President’s award is given to an individual who has assisted and/or supported the President and/or the Board of Directors in various ways during the year. The Standing President makes the selection and presents the award during the Annual Fall Conference. Leo Latz and his wife, Evelyn, gave generously of their time, talents, and kindness in support of interpreters and the Minnesota Registry of Interpreters for the Deaf over many years. 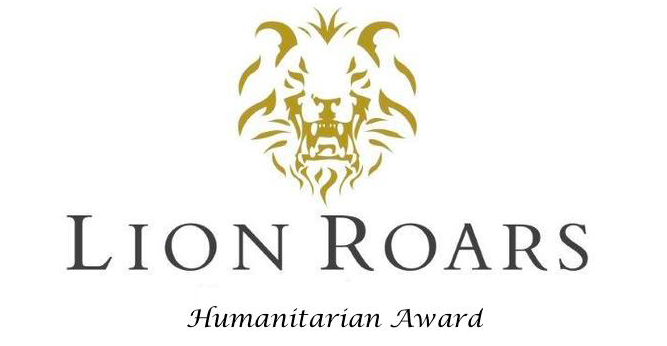 To honor all that Leo and Evelyn have done, “The Lion Roars Humanitarian Award” has been established and is awarded to a person or group that demonstrates a humanitarian spirit in supporting the interpreting profession and/or the deaf community. The name of the award comes from the by-line Leo used (“The Lion Roars”) in his regular column for the Thompson Hall Newsletter. The first “The Lion Roars Humanitarian Award” was given to Bonham Cross at the 2005 MRID Fall Conference in Mankato. must demonstrate that they have made enduring, significant contributions to the interpreting profession and/or the Deaf community. To nominate an individual or group, contact MRID's President at president@mrid.org or Secretary at secretary@mrid.org before October 10, 2016.